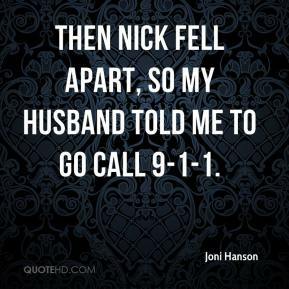 Then Nick fell apart, so my husband told me to go call 9-1-1. Nick always had a sparkle in his eye. Everybody loved his smile.